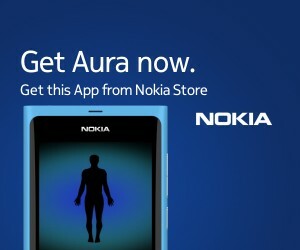 In the last weeks Miguel, Calvaris and myself, developed an application for the N9/N950 mobile phone and we called it Aura. Basically it uses the device’s camera (either the main one or the frontal one) for video recording, as a normal camera application, but also it exposes a set of effects that can be applied, in real time, to the video stream. Aura is inspired in the Gnome application, Cheese, and it uses many of the effects available in Gnome Video Effects. The list of effects that were possible to port to the N9/N950 are: dice, edge, flip, historical, hulk, mauve, noir/blanc, optical illusion, quark, radioactive, waveform, ripple, saturation, shagadelic, kung-fu, vertigo and warp. Besides of these software effects, it is possible to add, simultaneously, another set of effects that the hardware is capable, such as sepia colors. These hardware capabilities do not impose extra processing as the software effects do. Because of this processing cost, imposed by the non-hardware video effects, Aura has a fixed video resolution. Otherwise the performance would make the application unusable. Also, we had a missing feature: the still image capture. But, hey! there is good news: Aura is fully open source, you can checkout the code at github and we happily accept patches. Honoring Cheese, the name of Aura is taken from a kind of Finnish blue cheese. We hope you enjoy this application as we enjoyed developing it. Pingback: Aura, filmez avec des effets sur le Nokia N9 « Nokians – La parole aux fans de Nokia !